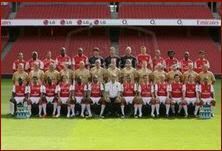 The Gunners have never been one the luckiest teams playing in the EPL – any fan can attest to that. But they’ve always managed to show up every game, play their collective hearts out, and roll with the punches like no other club in World Football. However, that wasn’t quite the case this season. With injuries plaguing much of the first team roster, it was on the replacements—those guys making great money to play footy at least slightly better than average until daddy comes home—to do the do until things got settled. That never happened. And that forces everyone from Wenger to the most average fan to take a look not only at the first team but also the entire ranks. People need to be cleared out. We’re not playing online baccarat here. This isn’t some strange version of cricket. You simply cannot show up half-hearted, and all those contributing anything less than their all to Arsenal should be sent packing in order to make room for those that will. On a hypothetical list, who should get the ax from The Gunners? First up on the list of players needing to leave is Denilson. Although the 23-year-old Brazilian is very talented, he is also susceptible to the pressures of playing on a big stage. His lackluster performances and sideways passes and field jogging earned him big-time criticisms. And the more criticisms he received, the worse he played – proof positive that he cannot handle the pressure associated with EPL footy. Gael Clichy is next. This fabulous Frenchman, talented in numerous aspects of the game, is simply a liability today, and while he was once touted as the best left-back in World Football, he has only been consistent at being inconsistent of late. Kieran Gibbs, Pedro Botelho and Armand Traore are all stars on the rise, and Wenger might go after Emilio Izaguirre this summer, so Clichy should be on his way out. Arsenal is often the beneficiary of a solid line when you check out various sports books and internet casinos. This is no doubt due to players like Cesc Fabregas. Unfortunately, Fabregas is addicted to winning, and Arsenal’s trophy drought may leave him packing his bags. The smart move for Wenger: initiate the move before he flees and get top value. There are probably many more players Arsenal should get rid of, and undoubtedly many more they will get rid of. But in the grand scheme of things, a football club is only as good as its players’ production. So while there are some players that love Arsenal and adore the fans of North London, they still have to be sacrificed for the greater good – winning. Is Ramsey ready to lead Wales? Arsenal midfielder Aaron Ramsay will be handed the honour of leading his side out at Millennium Stadium on Saturday against England, and with it will be become the youngest player to have ever worn the arm-band for Wales. But is he the right man? The 20-year-old started his first game in ten months when he turned out for Nottingham Forest in December while on loan at the Championship club, and since returning to Arsenal has gradually increased his match-fitness as he looks to cement a regular first team spot. He may well sell plenty of new football kits over the coming years but before he has a chance to make a name for himself, he has to contend with the small task of leading his country into battle against their arch enemies. The talented midfielder faces criticism from within, as former Wales skipper Kevin Ratcliffe questioned his ability to do the job. “For somebody who hasn't played a great deal of football at his club, I think he's shown great faith in the lad.” He said of Gary Speed’s decision. Ramsey will face a tough task when he comes up against an England team intent on repairing the damage done to their reputation over the past 12 months, and in his first international game in 16 months he could have done without the added attention the job inevitably brings. The former Cardiff man needs to focus on his own game for the time being as he looks to establish himself as a force in the Premier League, and could have done without the added burden. Although Ramsey is an extremely talented and promising midfielder, it says a lot about the state of Welsh football that they are forced to rely on a 20-year-old to lead the charge. Craig Bellamy would have been expected to skipper the side, but passed over the armband after knee-problems prevent him from playing every game for his country. The situation bears a similarity with the England captaincy issue, where regular injuries to Rio Ferdinand meaning John Terry has been handed the job. Both countries look to have botched the handling of the situation, but England will claim they have the right man for the job eventually, can Wales? James Collins has been excellent for the past two seasons at Villa and is one of the most consistent centre backs in the Premier League; Speed would have been better off handing the captaincy to someone who will be able to stand strong against England, and not a youngster looking to work his way back into the side. The Wales boss will stick by the old adage that if he is good enough he is old enough, and Ramsey does carry himself in a manner that betrays his young age. He will not be relied on to give an inspirational speech as any player not motivated to face England is probably in the wrong job and will look to lead by example as possibly the most talented member of the squad. The Wales team does have the look of a young team that needs time to gel together, with the likes of Joe Ledley, Gareth Bale, Chris Gunter, Ashley Williams and Ramsey himself forming the core of the team expected to face England. As the leader of the new wave of Welsh talent, Ramsey is relishing the chance to captain the side and his determination to do the job has to be admired. If the game goes against Ramsey and Wales, all eyes will be on Speed and the lack of protection he has given to the young Arsenal midfielder. Poor old Spurs. While the majority of even the most optimistic Spurs fans will be walking around North London at the moment with concerned looks on their faces, the red half of North London will take this opportunity to gloat, even though they are no longer involved in the Champions League. Spurs deserve their place in the Champions League quarter-finals, there are few people who would doubt that, but Arsenal fans will be feeling relieved that the draw hasn't presented them with a simple route through to the final, with few Gunners fans surely able to cope with the thought of their rivals even taking part in a Champions League final at Wembley of all places. For those who haven't yet heard the result of the draw, Spurs will now have to take on an old foe in the form of Jose Mourinho, who will take his Real Madrid side over to White Hart Lane after welcoming the London side to the Bernabeu early in April. If you're a Betfair VIP you'll understand this won't be easy. With the sad fact (for Spurs fans at least) of the matter remaining that even if Spurs do find a way past Real (and can we really imagine 'arry Redknapp getting the better of Champions League maestro Mourinho in Europe?! ), they'll have Spanish champions Barcelona to contend with before they can even dream of playing at Wembley. Anyone in the Betfair loyalty program will know just how tough the task will be. With the Champions League now taking a break for a few weeks, Arsenal fans may want a final laugh at the following stat ahead of the Spurs and Real action: both teams have scored the same number of goals so far in their European campaigns, with a total of 19 the most out of any remaining team, but Mourinho's men have let in just three, a whopping eight fewer than their English counterparts. Arsenal may have been left feeling down and out after their FA Cup exit at the weekend at the hands of United, who ran out 2-0 winners at Old Trafford, but there was one beacon of hope for the Gunners and reason for the fans to feel cheerful. That hope came in the form of a return to action for Aaron Ramsey, who appeared for the club for the first time since his horror leg break inflicted by a nasty challenge from Ryan Shawcross last February when the Gunners turned out against Stoke. With the Welshman introduced with Arsenal chasing the game on Saturday, the Gunners fans nevertheless made their feelings towards the midfielder heard, with the player's name the subject of vocal chants ringing around the stadium. Even though Ramsey has missed a substantial period of the Gunners' recent efforts on European and domestic fronts, and has been battling back to fitness with Cardiff and Nottingham Forest, it seems as if he has been around on the footballing scene for ages now, perhaps due to the fact that the media have used him as an example time and again when assessing the overly physical state of Premier League football at the moment. However, it's worth remembering that Ramsey is still only 20 years of age and is yet to reach the peak of his career age-wise and those following the footballbetting will realise this. With the player keen to shrug off doubts that he will ever be able to eradicate the mental scars left from suffering such a horrific injury on the field of play, the player stating that the injury doesn't even cross his mind when he's on the pitch, it's clear that the Welshman still believes he has a big role to play for club and country as he looks to get his career firmly back on track and pundits like Andy Gray are backing him to succeed..
With Jack Wilshere making himself a real contender for young player of the season, and perhaps for player of the season, it looks like the future is bright at the Emirates, even if this season doesn't end with silverware. Should Wilshere win the PFA Young Player of the Year award? The PFA Player of the Year award seems to be a bit up in the air at the moment in terms of who will win, but it is surely just a two horse race between the young talent at Arsenal and at Spurs, with Jack Wilshere and Gareth Bale looking likely to fight it out to win the coveted trophy. Although Bale is the current favourite, it is perhaps an unfair status since his best displays have come in the Champions League this season, with the Welshman shining amid some of the best players in world football and on some of the biggest stages European football has to offer. Compare this to the precocious talent of young Wilshere, who has had a far more consistent and impressive season for the Gunners in the Premier League, with his level of mature consistency and subtle contributions to Arsenal's title ambitions surely more impressive than the efforts of Bale, who has for all his undoubted ability spent a fair chunk of the season watching from the sidelines injured, while transfer rumours about his future circulated. Despite this, football in England very rarely seems to reward players who put in hugely impressive displays but aren't necessarily the source of those eye-catching moments that make the highlight reels on Match of the Day and the football betting tips indicate Bale will still bag the award. With this in mind, it might be fair to suggest that while Wilshere might be the right man for the PFA Young Player of the Year award, the chances are that unless he can fire a stunning strike in against a top side, he doesn't really stand much of a chance of ending up winning an award that his fantastic performances for Arsenal this season deserve. With Bale likely to win in the short term, it is up to Wilshere to show that he can be the winner in the long term. Last time round Arsenal were taught a lesson by Barcelona. There is no way of avoiding it, that night at the Nou Camp last year marked a low point for Arsene Wenger’s men. Having pitted determination against Barcelona’s ease of movement and telepathic knowledge of where a team mate is to secure a 2-2 draw in the first leg, Lionel Messi led the way in a 4-1 defeat that was as equally endearing as it was heart-breaking. The movement and the pressure of the Catalan club was just too much for an overwhelmed, suffocated Arsenal. “Without the ball” Barcelona manager Pep Guardiola once said, "we are a disastrous team, a horrible team, so we need the ball.” So they went and found it. To have some of the most talented players in the world that are also willing to work to regain possession and use the full array of their talents is something quite beautiful. Barcelona are possibly a better team than the one they faced last year; they continue to grow together with the addition of David Villa and decimate records one at a time. Losing only once this season is by far their least impressive statistic. They have won by more than three goals three times this season, four of which are with a five goal margin. They have scored 37 times away from home, by comparison, Real Madrid have scored 18 times away from the Santiago Bernabeau. Lionel Messi has bagged 24 goals from 20 games, with 15 assists. To say they are sports betting favourites to win La Liga would be a gross understatement. Despite this, Arsenal have reason to believe. Difficult as it may be, Arsene Wenger’s men are a different team compared the side that were mauled in last year’s competition. With an ethos cut from the same cloth as Barcelona, the Gunners aren’t too shabby at the pass and move style of football. But there is something more. The most constant accusations levelled at Arsenal is their apparent inability to stay the course, to keep moving when the going gets tough; that they have no muscle to go with their finesse. This is starting to change. This season has seen Arsenal add a string to their bow. With the arrival of Marouane Chamakh as a physical presence up front there is a target for Andre Arshavin and increasingly impressive Theo Walcott, while the speedy development of Abou Diaby means that, when fit, he is able to boss the midfield like he is possessed by the ghost of Patrick Vieira. That they are still in the FA Cup, the Premier League and the Champions League shows their intent. Wenger described his side as “maturing” last month, an apt description of a side looking to fulfil their undoubted potential. 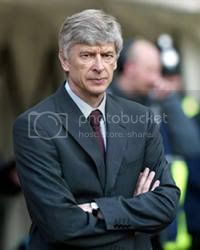 Wenger, one of football’s most astute minds will not allow a repeat of the last game against Barcelona. He will not allow his side to be harried in the same way, to be knocked off their stride so easily. If a more physical approach is required, then so be it. Robin Van Persie is beginning to fire once more and captain Fabregas is fully fit this time. Barcelona are rightly considered one of the greatest teams of modern times. Arsenal have been gifted an opportunity to leave their own mark on history if they can overcome the quality of the Spanish league leaders. This season promises so much, it is almost time to deliver. Journalists and stats fans have been quick to point out the vast disparity between Arsenal and Barcelona at the Nou Camp on Tuesday. Ok I admit nineteen shots to nil and 724 passes to 119 don't exactly add weight to Arsene Wenger's assertion that Arsenal would have won the game had Robin Van Persie not been harshly sent off and the Champions League specials reflected this. But when is any side going to out pass Barcelona? Those stats were always going to be in the Catalan club's favour, just as they were against Inter Milan last April, when Jose Mourinho's smothering tactics worked perfectly and perhaps uncovered Barca's only weakness – their tendency to over-pass and lack of a killer instinct. That may seem like a churlish thing to say about a side that has Lionel Messi and David Villa up front but across these two games against Arsenal – up to Van Persie's sending off - Barcelona were wasteful and allowed the Gunners to stay in the tie. The first 50-60 minutes on Tuesday went pretty much to plan for Arsenal until he referee intervened with one of the most ridiculous decisions I have ever seen. It showed a complete lack of common sense. The Barcelona players, who gathered around him, won't have helped either. As talented as they are and for all the plaudits they rightly receive, their behaviour towards the referee is a disgrace. Be it rolling around on the floor or surrounding the ref to demand a booking, Barca new every trick in the book. But such is the style of their attacking play it seems to be bypassed by the media. I can perhaps grudgingly agree that, over the two legs, Barca had the better of the play and the Champions League best odds always suggested they'd go through. But I go back to last April's game with Inter again where it was the same story. And to suggest Barca were always going to win anyway is also a misnomer given the balance of the tie when the ref intervened. The referee changed the course of the game and made Arsenal's holding task impossible. And for that they have every right to feel aggrieved. Can Arsenal pull off mission impossible? Their own manager says their imminent opponents are the best team in the world. Their captain wants to play for them and their star playmaker has been linked with them, yet Arsenal are only 90 minutes away from pulling off one of the greatest shocks in a long time in the Champions League if they manage to finish off their first leg heroics and go to the Camp Nou and come away having knocked out Barcelona. Although the chances of this happening are indeed remote, the fact remains that the Gunners do possess enough talent to put up a decent fight against a side that can seriously be considered as one of the best ever in the history of the game. However, should the Gunners end up playing the game without Cesc Fabregas, then they may well find themselves facing one hurdle too many, especially in light of the fact that they are almost certain to be without two of their key players in the form of Robin van Persie and Theo Walcott. Arsenal will have to dig deep if they want to appear on the Champions League final betting lists. Despite the loss of these two players, the Gunners showed in the first leg that they are capable of mixing it up with the boys from Catalonia and even giving the Spanish giants a taste of their own medicine by making the most of the chances they created. 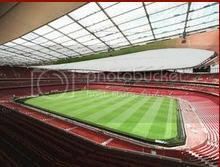 With chances at the Camp Nou likely to be at a premium for Arsenal, they will need the players that these chances fall to to make the most of them, much as they did at the Emirates. Any failure to do so will surely see the Gunners knocked out with a whimper rather than a bang. Should the Gunners pull off Mission Impossible, then who would bet against them going all the way to Wembley and lifting the trophy for the first time in their history?